The former Stoke City forward has scored nine goals and added four assists in his last 14 games as he looks to help the Hammers stay in the Premier League, most recently setting up Javier Hernandez's equaliser in their morale-boosting 1-1 draw with Chelsea. "He is a little bit of a Zlatan inasmuch as the players look to him," Moyes said. "He's getting to an age now where he's going to influence players, and he's going to have to influence players around him, so he needs to be doing it by his leadership and performance. His performances have done it in many ways." "I was concerned, because I'd seen him play for Stoke sometimes and I didn't think he did all the running back defensively," Moyes added. "I was saying 'I'm coming to a team in the bottom three and if I'm not going to get all the players running, we're going to be in difficulty.'" 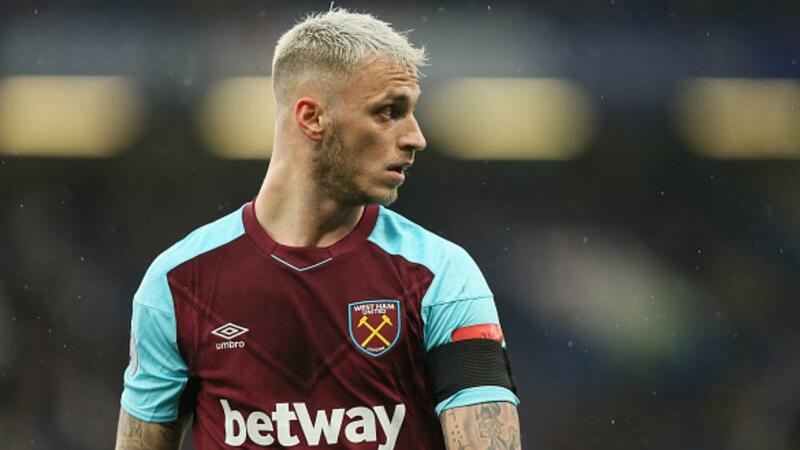 "That's why we had to find something which meant that maybe he wasn't quite as exposed to having to double-up, help the full-back out," Moyes said. "We had to find a way of getting Marko into a different system. And we played around with it, it wasn't rocket science. "We didn't go out there with it really planned. He was the one that showed us, and going to centre-forward freed him up a little bit. I got him to run and close things down, and show that he really had that capability. "He's someone who needs the confidence, but I think he also needs the understanding of how you get to the levels you've got to."